Das Hauptstufentriebwerk der Ariane 5, Vulcain 2, während eines Heißlaufs am Prüfstand P5. Möchten Sie bei uns die einzigartige Welt der Spitzenforschung kennenlernen? Dann informieren Sie sich hier. This department focuses on subjects like fuel injection, combustion and combustion chamber cooling and nozzle expansion, also comprising structural analysis, measuring technology and propulsion system analyses. The Test Facility department is responsible for planning, building and operating test facilities for propulsion systems on behalf of the European Space Agency (ESA). It also maintains co-operations with the European space industry (Airbus Safran Launchers). The Engineering department develops and designs test facilities for propulsion systems. It also builds test launchers to examine technological issues, and supports developments in research and technology. Besides the regular requirements to future propulsion systems, like increased thrust, specific impulse, flight range, speed and reliability, prospective propellants must be environmentally friendly, cost-effective and easy to use. 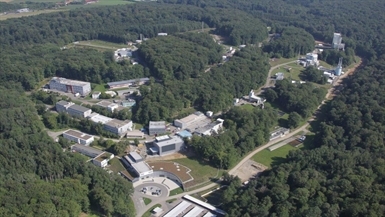 In addition to the essential tasks involving the protection of people and the environment, the department has a number of other important tasks on the site at Lampoldshausen.